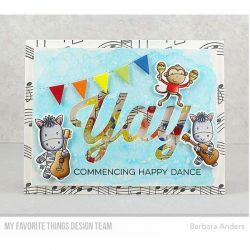 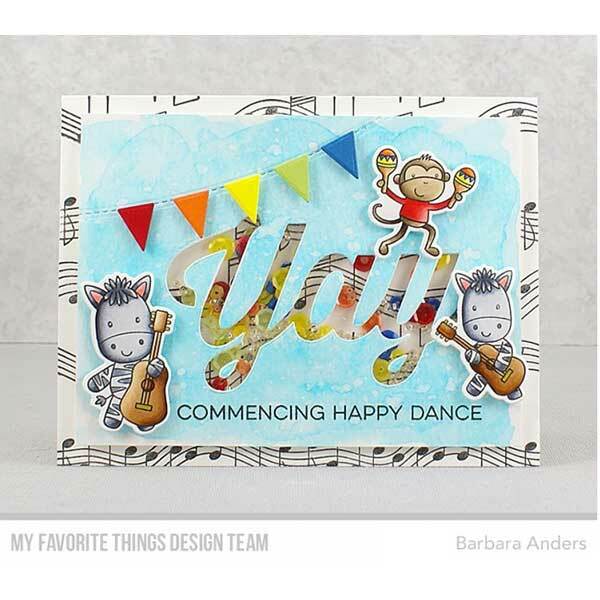 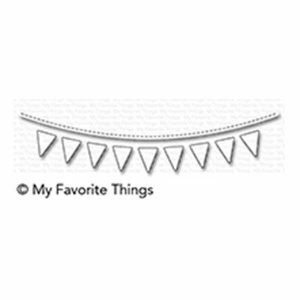 Celebratory Banner die-namics by My Favorite Things. 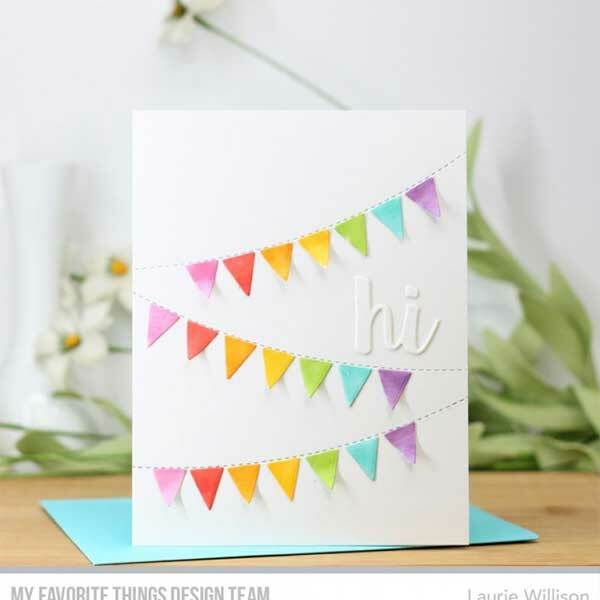 Drape a festive banner element across your card fronts with this multipurpose banner design. 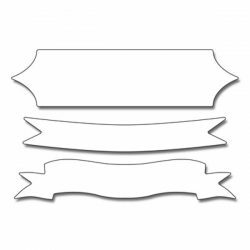 The curved stitched “string” creates the base of your design while the single piece banner die produces a negative that allows you to perfectly position your individual banner pieces. 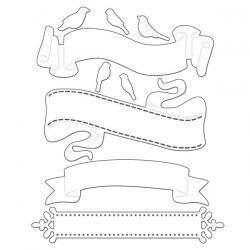 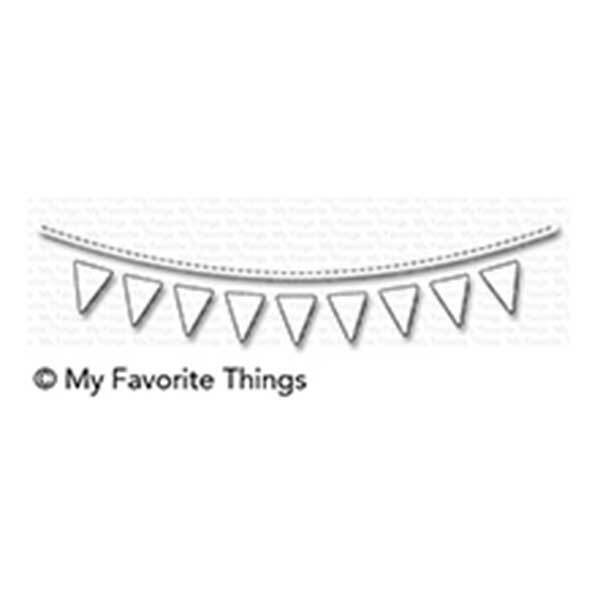 This 2 piece set includes: String 5 5/8″ long, Banner die 5″ creating (9) individual3/8″ x ½” banner elements.